Experience outstanding online entertainment with the S8300. Bring the most popular shows from Live TV and On Demand together. With the built-in WiFi helping to make On Demand viewing easy as! This Recorder also features a 1TB Hard Drive allowing up to 500 Recording Hours. You’ll never miss your favourite show with the Series Recording function. It really is the best of both worlds - to enjoy your way. Catch up with any TV content you’ve missed, with access to TVNZ On Demand,Three Now and Maori TV On Demand. All ready to watch, at a time that works best for you. With this exciting feature, you can now enjoy your favourite content from the select range of Internet Applications. Your S8300 will also automatically stay updated with the latest software, when available. 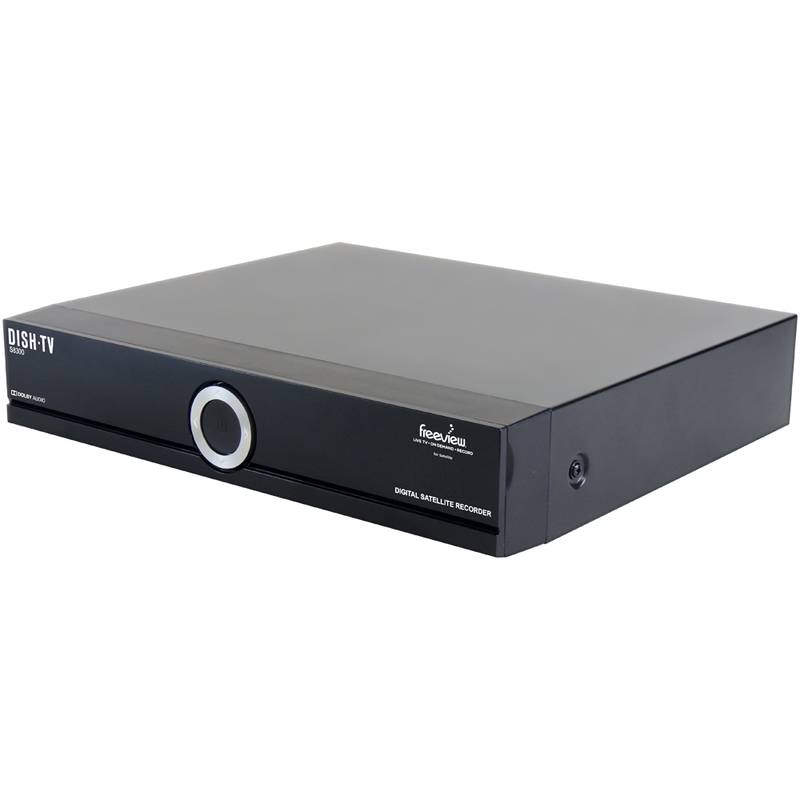 Record two channels at once with this Dual Tuner Satellite Recorder. With a built-in 1TB Hard Drive allowing up to 500 Recording Hours, that should cover even the longest of vacations. Reaching nearly 100% of New Zealand homes, with Freeview Satellite® access a great range of channels broadcast nationwide. So no matter where you are, you can enjoy quality TV and Radio. ¹Channel selection is limited when recording two channels at the same time, some channel combinations may not be available.